Glenn Szabo, Realtor® lists some of the most sought after properties in the Okanagan region. I stopped in to see my client and friend Bob Coombes in his shop near Armstrong. He is an incredible wood turner in the North Okanagan Valley. Helene and i purchased a beautiful natural edge platter that is red cedar. As you can see from the background, Bob is very prolific. his work is inspiring and very beautiful. 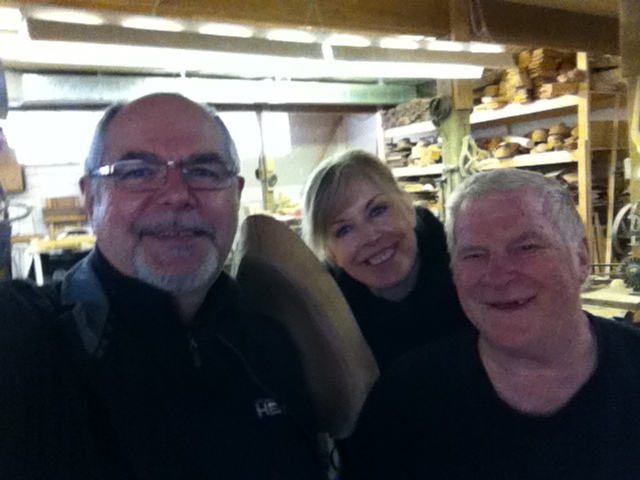 Contact me if you would like to know any more about Bob’s work or about wood turning in the Okanagan. 4407 Bellevue Drive Price Reduced!